The gift of art for their anniversary. 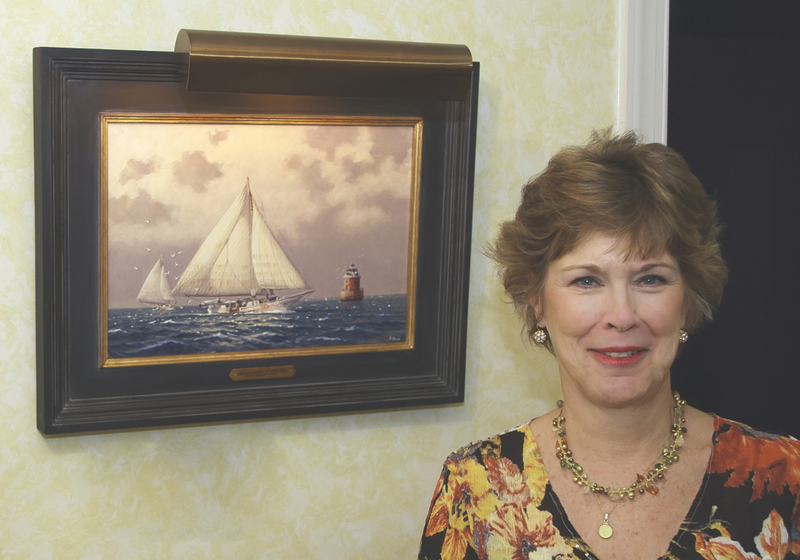 Last summer Robert “Peppy” Jones of Midlothian, Virginia contacted me and asked if I would create a painting for his wife Brenda in celebration of their upcoming anniversary. Of course I was happy to do so and we discussed size, subject matter and the “feel” of the piece. 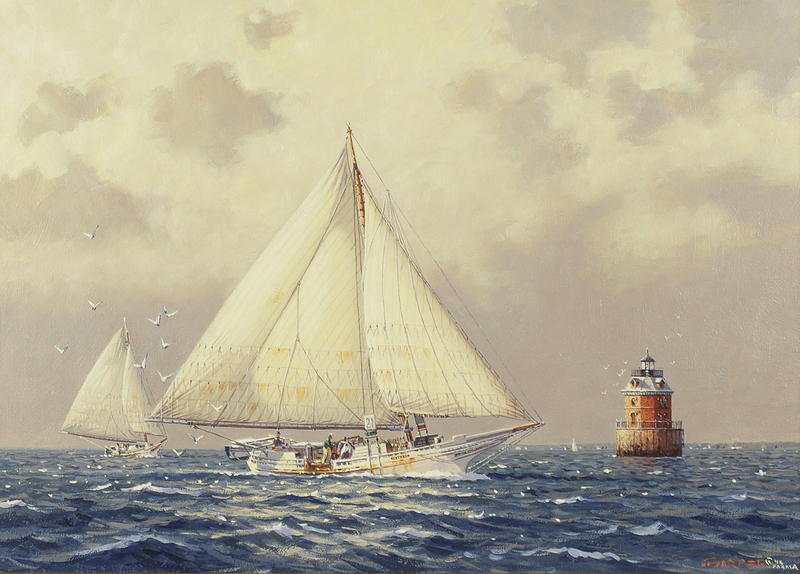 The painting would include the skipjack Kathryn on which I’ve sailed many times off the Sandy Point lighthouse that sits in the Chesapeake Bay near Annapolis, Maryland. After doing a pencil sketch and getting Peppy’s OK, I proceeded with the oil painting. Peppy came by my studio for his initial viewing and happily took the piece home for their special event. He later said that his wife was very pleased with the painting and she immediately chose a prominent wall in their home for it. A few weeks after their anniversary they called and asked if they could by my studio for a visit. When they arrived they surprised me with a beautiful custom-made wooden puzzle created from a photograph of their new painting! Visit www.libertypuzzles.com to see these remarkable works of art. In addition to enjoying my life’s work, I love meeting and working with wonderful people like Brenda and Peppy Jones. 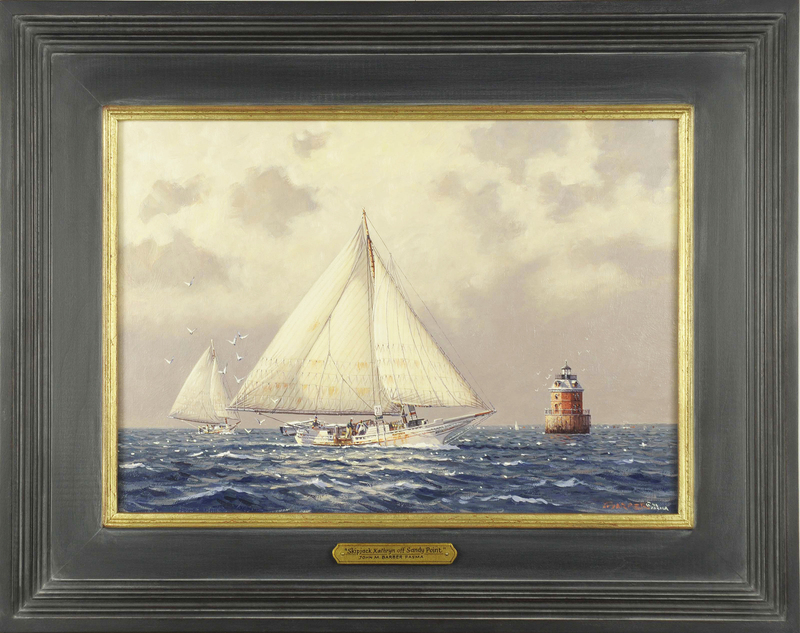 Oil on linen canvas 12” x 17” Overall framed size 18” x 23”. The piece was completed with a hand-lettered gold gilded nameplate and a House of Troy painting light.